NBN, the company responsible for rolling out the national broadband network, on Thursday announced new agreements with six delivery partners to deploy the network in the Telstra hybrid fibre-coaxial (HFC) footprint. Multi-technology Integrated Master Agreements (MIMAs) have been signed with Broadspectrum, BSA, Downer, Fulton Hogan, and Lend Lease. NBN’s chief engineering officer, Peter Ryan, said these suppliers will deliver the HFC network at scale to enable NBN to meet its completion targets in 2020. “With this process, we have ensured the most appropriate delivery partners are doing the work. They have enormous experience in construction in the telecommunications industry, which will help us roll it out faster,” he said. In April, Telstra finalised a $1.6 billion contract with NBN to provide planning, design, construction and management services within its existing HFC network. Telstra has already undertaken early work to build the NBN in its existing HFC footprint, including preparing NBN exchange locations and HFC planning and design. The deployment of the NBN with Telstra’s HFC footprint leverages the Telstra cable-TV network to the premises. 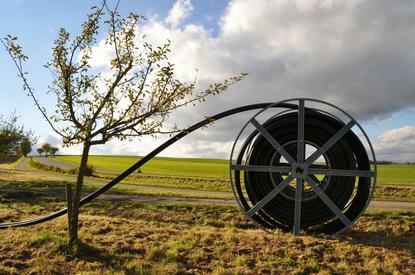 Each location will be connected to NBN's ugraded HFC technology and will also be connected via deployment of a multi-technology mix (MTM) solution, NBN said. Telstra’s pay-TV HFC network reaches around three million Australian homes. By 2020, Telstra expects that eight million homes and businesses will be connected in geographic areas across Sydney, Melbourne, Brisbane, the Gold Coast, Perth, and Adelaide. In June, NBN also launched its HFC product on the former Optus network in Redcliffe, QLD.